'THE MERGING OF MULTIPLE EARTHS,' Conclusion Giant-sized 25th anniversary special! Savage Dragon is restored to his former glory as he bulks up to take on Darklord in a final battle! Mr. Glum's devious plot to merge the multi-verse comes to its cataclysmic conclusion! 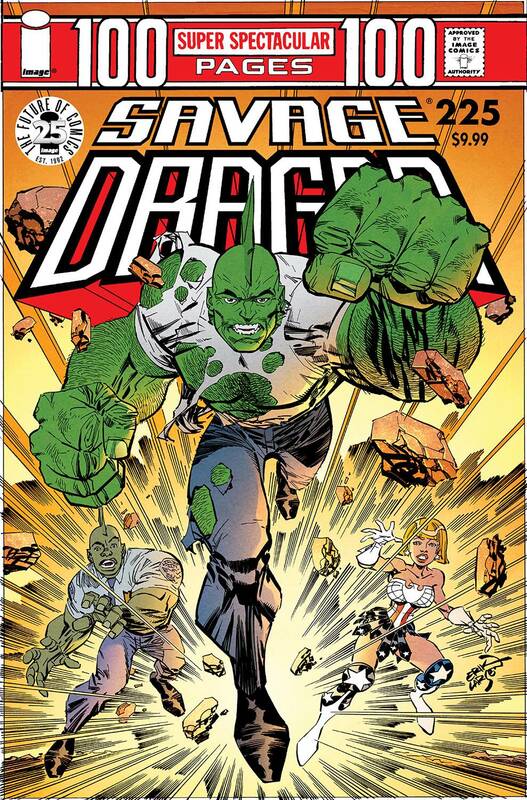 Savage Dragon and Malcolm Dragon join forces to save Angel Murphy and the very earth itself!